Machete is our pocket rocket. Crazy drive, a social energy that draws you in, and an intensity you wouldn’t expect are all wrapped up in a tiny package that, while unexpected, is a force to be reckoned with. Machete wins everyone over with her puppy like expressions and her happy, go-lucky nature. 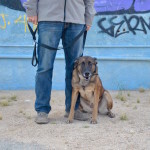 But don’t dare cross her….her size gives her an advantage as she’s quicker than the typical malinois. 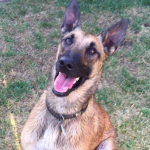 Machete is a smaller malinois, weighing in at just over 35lbs. She has intense drives and would make an exceptional detection prospect. Ball drive off the charts, environmentally sound, and a size that will allow her to squeeze in even the smallest of spaces. She is social with male dogs. 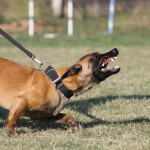 Machete is quick, appropriately protective, and will require an experienced handler to show her the ropes in detection.